My feelings about the film are similar to yours. 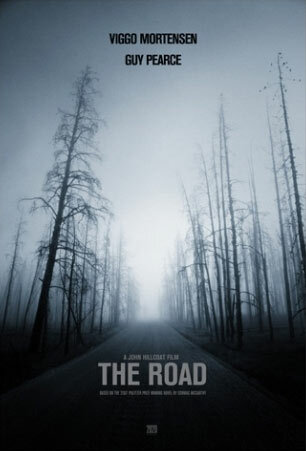 There is much to recommend this film, a great premise, a continual tension, a look as bleak as the psychological landscape it explores, and a superb performance from Viggo Mortensen. But I think the kid lets it down a lot more than you seem to. Just cos it’s not the kid’s fault he hasn’t got the emotional palette to do a good perfomance doesn’t mean he doesn’t spoil the film. It’s not my fault I’m unathletic and middle aged, but that wouldn’t absolve me of ruining an olympic relay team. The acting adage about not working with children or animals is commonly cited as a warning against their unpredicatability. But it should also remind us that they can’t act. Dogs barking at people in films don’t look alarmed, they look like a dog trained to bark on cue. Children don’t have the requisite emotional experience to carry a film. In something like The Road, a child needs to exhibit severe trauma. And be emaciated like Viggo, but of course, as you point out, you’re not allowed to starve children for weeks before the shoot. So we end up with a plump child whining like he’s being told he can’t have money for a Wii. The ragged haggard and steely brilliance of Mortensen’s performance only heightens the contrast.